Get ready for a Stars and Stripes surprise! 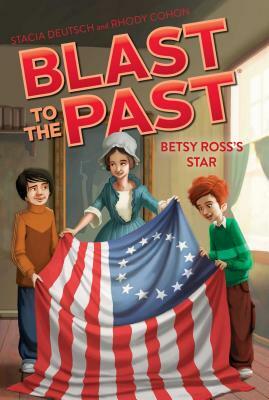 The Blast to the Past friends are off to meet Betsy Ross—and investigate the truth behind America’s first flag! When Mr. C tells the class they’ll be learning about Betsy Ross, Abigail is confused. What could the “what-if” question be? Turns out that no one knows for sure if Betsy Ross sewed the first American flag! But whether she did or not, the kids have a job to do—Babs Magee is up to her old tricks and plans to take credit for sewing the flag. Abigail and the boys see this as their chance not only to stop Babs, but also to set history straight.